People Without Government. 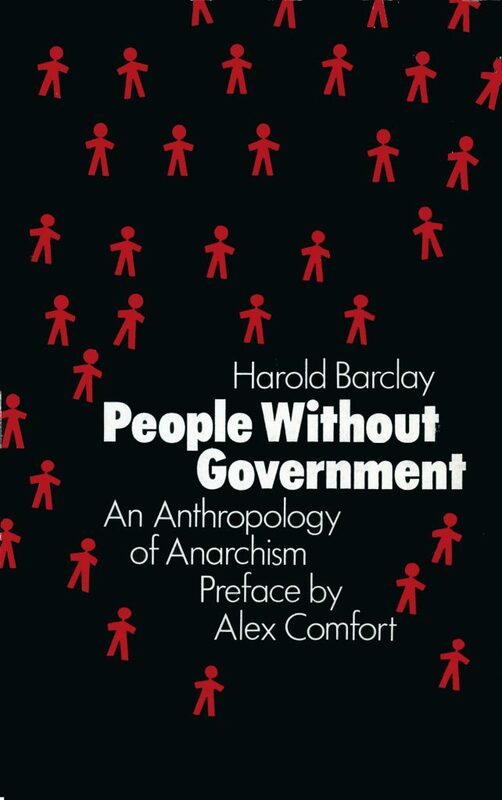 An Anthropology of Anarchism, Harold Barclay (Preface by Alex Comfort) (ISBN 978-0-904564-47-1). First published by Cienfuegos Press, Over the Water, Sanday, Orkney, in 1982. Anarchy, as the absence of government, is neither chaos nor some impossible Utopian dream. In fact it is a very common form of political organisation and one that has characterised much of the human past. People Without Government describes briefly the anarchic political structures of a number of these societies. True they are mainly small-scale hunting, gathering and horticultural groups. However, the social organisation of certain large populations with complex relations is also sometimes anarchic. Thus anarchy applies to a broad spectrum of different kinds of societies.